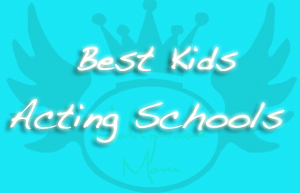 Best Kids acting schools! If you have a suggestion or update for this list, contact HollywoodMomBlog (at) gmail.com with the contact name, address and telephone number. We are building lists for every state in the USA. 12 students max; Private coaching available; On-Camera Technique; Acting Technique/Scene Study; All levels; Auditing is permitted; Lauren’s Hollywood Youth Division encompasses cold reading, audition technique, script analysis, character development and much more. Lauren instills confidence in all her students and understands that when a young actor begins a career in TV and Film, the whole family is involved. Lauren also teaches a foundational course for adult actors. American Academy of Dramatic Arts Los Angeles campus and New York campus): 1336 North La Brea Avenue, Los Angeles (800) 222-2867. Summer camp application. Beverly Hills Playhouse Young Actors & Teens Program with Emmy Award winner Melissa Hayden. 254 S Robertson Blvd., Beverly Hills, 90211 (310) 855-1556. Hayden also works as a private coach. Cal Shakes, California Shakespeare Theater: For more info about this Northern California day camp contact Jenna Stich, Artistic Learning Coordinator, at 510.809.3293 or learn@calshakes.org Zendaya Coleman (Shake It Up!) attends camp here. Center Stage Workshop online at www.centerstageworkshop.com. Located at at The Whitefire Theatre in Sherman Oaks, CA. 15 students max; All levels; Auditing permitted; Work study/internship program available. Specialities: All things comedy, sketch, standup, characters, improv etc. A fun way for kids of all levels to get up on stage and build confidence for the future. Our encouraging style of teaching is designed to nurture the creative side using the tools of comedy. KIDS ON CAMERA, Phil De Champlain, 12215 Ventura Blvd., Suite 111, Studio City, CA 91604 Email: stopdreaminactors@yahoo.com 818-500-0037. 10-14 students per class; All levels; One time free audit; Ongoing; Internship available with film school. Classes focus on on-camera auditioning, cold reading, improvisation, and film and TV scene study, helping students discover what makes them unique inside. Other: On-Camera Technique; Audition Technique/Cold Reading; Improv and Comedy; Acting Technique/Scene Study. ♥Kids on Stage: Santa Monica, Culver City, Mar Vista (310) 314-0035 Perfect introduction to imaginary play for very young kids and beginners 3 to 6 years. LAGUNA PLAYHOUSE – YOUTH THEATRE with Donna Inglima donna@lagunaplayhouse.com 949-497-2787, ext. 202, Fax: 949-497-328710-14 students per class; Beginner, intermediate, and advanced; Auditing not permitted; 1-year audition based conservatory, ongoing non-audition workshop classes, and summer theater workshops; Unpaid intern/work study opportunities occasionally exist. Offers a variety of acting and creative drama classes ongoing for youths ages 6-18. Classes are taught by theater professionals after school and in weekend workshops. LARRYMORE-KELLY PERFORMING ARTS ACADEMY, Warner Center Towers, 21550 Oxnard St., Ste. 300, Woodland Hills, CA 91367 larrymorekellyent@gmail.com 818-723-4699 (All levels.) Critically acclaimed actress Rae’Ven Larrymore-Kelly iand her mother, manager and acting coach Phyllis Larrymore-Kelly, are founders. Provide youth a solid foundation in the performing arts through a cathartic and nurturing educational process. The academy offers instruction in scene study, improvisation, and audition technique, among other subjects, for both kids (4-12) and teens (13-18). ♥Lee Strasberg Theatre & Film Institute Young Actors is an intensive/diverse program for young actors ages 7 to 18 years. 7936 Santa Monica Boulevard, Los Angeles, CA 90046; 323.650.7777; losangeles@strasberg.com Alumni: Angelina Jolie, Matt Damon and Scarlett Johansson are former students. Musical Theater Los Angeles, (formerly SKTC) Amanda Baird, 310-428-4021, various L.A. locations offering in school and after-school programs. Summer Camp to be held at St. Albans Episcopal Church. ORANGE COUNTY PROFESSIONAL ACTORS’ WORKSHOP WITH ELIZABETH KENT edmiston4778@roadrunner.com, 949-675-3272. Classes hold 10 students max; Private coaching available; All levels; Ongoing. Kent has more than 18 years experience as an acting coach for film, TV and theater. Her students have found professional representation through her coaching in Los Angeles. Orange County Screen Actor’s Academy: 2834 S. Fairview St., Santa Ana, CA. 92704 (310) 427-5674 Specializes in getting kids on film. 714-897-4475, OCSD offers acting for the camera, addressing script reading, camera presence, cold reading, and audition techniques. Character analysis and portrayal will be presented in an on-camera environment. [them] back and quit it.” Her one-on-one classes/coaching emphasize individualized training including audition techniques and specialty workshops including “crying on cue. THE SANTA MONICA PLAYHOUSE EDUCATION CONSERVATORY, Director: Serena Dolinsky, 1211 Fourth St., Santa Monica, CA 90401 Email: education@santamonicaplayhouse.com 310-394-9779, ext. 673, 10-15 students per class; All levels; Auditing not permitted; Sessions in each season; Internship program is available. The conservator offers extensive training for actors from beginners through professionals, year-round. A variety of workshops for all ages, preschool to adult, focus on: audition technique, communication skills, musical theater, character development, movement for the stage, voice, and performance. The Songwriting School of Los Angeles Director: Rob Seals. 4001 W. Magnolia Blvd.,, Burbank, CA 91505 (818) 848-SONG. Hosts monthly speakers like: entertainment attorney Ben Mclane, Eric “Blu2th” Griggs (wrote “No Air” for Jordin Sparks & Chris Brown), Tim Fagan (wrote “Lucky” with Jason Mraz & Colbie Caillat). Southern California Arts Program with programs in Performing Arts, Dance, Music and Visual Arts. SCAP 2013 is back this summer at Millikan Middle School & Performing Arts Magnet, 5041 Sunnyslope Avenue in Sherman Oaks CA 91423 (off Magnolia Blvd. between Fulton and Woodman). Teen Actor’s Lab has skillfully guided hundreds of tentative, timid newcomers to become confident, technical, risk-taking artists. The Acting Studio at Edgemar 2437 Main Street, Santa Monica, CA 90405, Phone: 310.399.3666, Fax: 310.399.2898 www.edgemarcenter.org or call Alexandra Guarnieri, Managing Director at 310.399.3666 or 310-392-0815. Classes for ages 3-16 years, help to foster strong acting foundation through interactive exercises utilizing improv games, theater and scene work on and off the camera. TOTAL IMPROV KIDS, The Avery Schreiber Theatre, 11050 Magnolia Blvd., North Hollywood, CA 91601 Email: linda@totalimprovkids.com. Phone: 818-481-8072. Classes: 12-14 students per class; All levels; Auditing is permitted; Ongoing; Possible work study available. Total Improv Kids uses the art of theatrical improvisation to offer children a means of tapping into and expanding their imaginations, nurturing important life skills, and allowing children to find the greatest potential in themselves and each other. YOUNG ACTORS CAMP, Nichelle Rodriguez, education director, Azusa Pacific University, Los Angeles, CA Email: request@youngactorscamp.com, Phone: 909-982-8059. Classes: 10-12 students per class; All levels; Summer only. Largest Residential child/teen acting program in the U.S. named a top 5 camp by the Travel Channel, due to celebrity guests and iconic companies that help teach about the Hollywood film industry. The training is second-to-none as we bring in award-winning teachers to challenge the most experienced young actor. THE YOUNG ACTOR’S STUDIO, 5215 Lankershim Blvd., Los Angeles, CA 91601, www.youngactorsstudio.com, PHONE: 310-281-7545 Classes: 15 students max; Adult classes also available; Auditing is not permitted; Set up interview to learn more about studio; By sessions. Offers coaching and training for young actors, ages 5-18, and uses the basics of the Stanislavsky system to help them learn to use their personal, unique qualities in their acting. YOUNG ACTORS SPACE, Patrick Day, director, 5918 Van Nuys Blvd., Sherman Oaks, CA 91401 Email: info@youngactorsspace.com, www.youngactorsspace.com Phone: 818-785-7979 Classes: 15 students max; Private coaching available; All levels; Auditing is permitted; Fall, winter, and spring sessions; summer conservatory. Est. in 1979, this school for young professionals offers weekly classes for students, ages five to adult, in scene study, improvisation, audition techniques, and sensory work. Young Artists Ensemble, Hillcrest Center for the Arts, 403 West Hillcrest Drive, Thousand Oaks, CA 91360, Box Office (805) 381-1246, Center for the Arts (805) 381-2747 – Former participants include TRUE GRIT Star: Hailee Steinfeld. Long Lake Theater Camp: Located in New York State in the Adirondack Park and members of the NY American Camp Association offering Dance, Theater, Fine Arts, Circus, Music and more! E-Mail: marc@longlakecamp.com Tel: 800-767-7111 or 914-693-7111; Fax: 914-693-7684. Academy Award Winner Adrien Brody is a former camper! The Actor’s Scene is an award winning studio for children, teens and adults serving the Atlanta Metro Gwinnett county area. On-camera training & acting classes for movies, TV and commercials with focus on improved confidence and self-esteem. YourACT Acting Studios Atlanta has been one of the leading acting schools in Atlanta for over 10 years. An affiliate of the prestigious Margie Haber Studio, voted a Favorite Cold Reading and Audition Class in Los Angeles. The Green Room Improv Contact (847) 931-4233 or email dave@greenroomtheater.com Locations in Huntley and Elgin, IL. Interlochen Center for the Arts Camp Application. Office of Admission & Financial Aid, 9900 Diamond Park Rd., Interlochen, MI 49643 (231) 276-7472, Alumni: Jewel, Felicity Huffman (Desperate Housewives); Jackson Rathbone (Twilight); Norah Jones, Kim Kardashian (Keeping Up with the Kardashians). Cathryn Sullivan’s Acting For Film, 118 Lynn Avenue, Lewisville, TX 75057, 972-353-3456, www.cathrynsullivan.com Where many talented Disney kids got there start including: Madison Pettis, Selena Gomez, and Demi Lovato.